Some of you are new to this site and to the Lucy Maud Montgomery Reading Challenge so I thought I'd take a second to link up to some of my older posts that I wrote just for fun! Just for a moment, let's reflect back, shall we? They do not work alone. They function best together. Without even a smidgen of imagination, one is not going to be able to develop a dream. Without dreams, what would we ever do? Human beings are created with an inner drive to be creative and to live big lives. Everyone of us has a dream. Some die and that's quite sad. Some can be fostered along and nurtured with books. Why books? Because each and every book has at its core a basic idea and worldview that it wants to communicate to you. Finding the best books with the best ideas to think and talk about can provide your child with big hopes and plans for the future so that they are not content with the status quo but want to go out and "do big things." I think it is vitally important that we read to our children from birth on up, to grow in them a love of reading AND to build within them an encouragement to imagine and to dream. At all times, you can find the label on my side bar marked "L.M. Montgomery Challenge" and see what's already been said. Loved your "Top 10 Reasons I Like Anne" post. I agreed with everything except the bridge one (hey, I like bridges). I'm holding off on the "Anne vs. Emily" until I read both! I'm only in the first book of Anne, and I haven't even read Emily. I'll have to save it for a later date. Though, this has reminded me that I think I have Emily of New Moon on a shelf somewhere. I have to go look! I love your "Reasons I Like Anne" post. Particularly the part about her being loyal to her friends. I had no idea Anne was afraid of crossing bridges though. 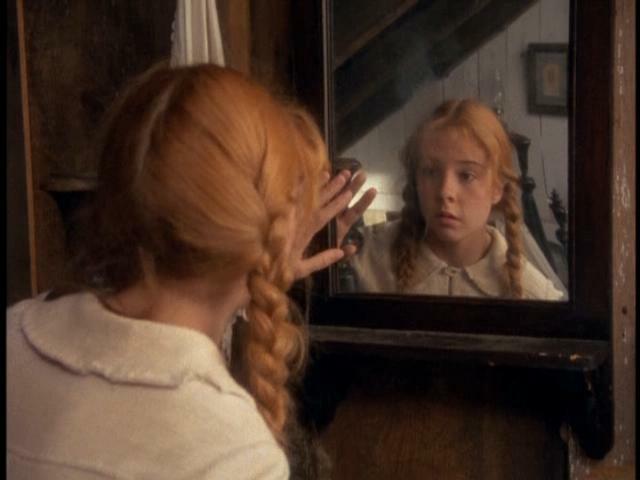 I only read the first Anne book many years ago and have since then watched the movies a number of times, which did not translated this fact! Hi Carrie...the LM Montgomery reading challenge sounds wonderful! I just wanted to let you know that I linked to you on my blog today. I picked up "Looking for Anne of Green Gables" at a used bookstore recently b/c of your recommendation and have it in this huge tote of books I plan to read this year (sigh--I need a vacation to do nothing but read!). I want to read it first. . .how fun! :) I have to admit the only books of hers I've read are the Anne series.